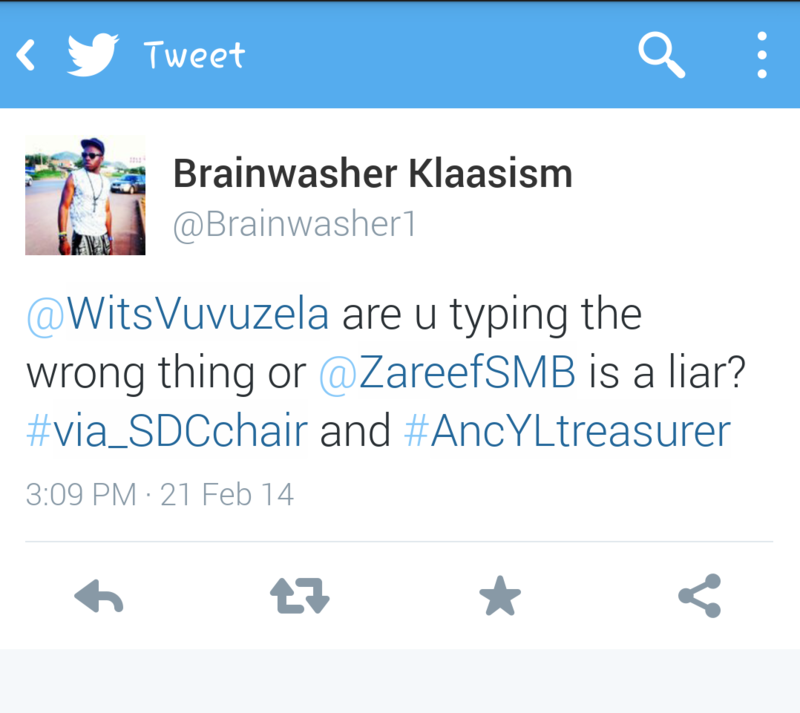 Earlier today an article profiling Zareef Minty of the Patriotic Alliance was met with accusations flung at both Minty and Wits Vuvuzela. 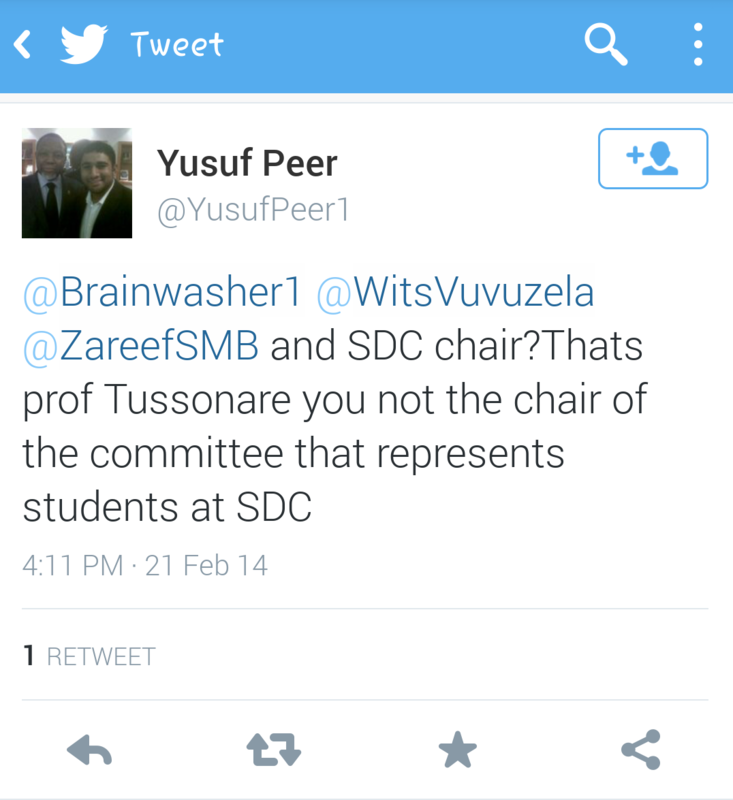 Several Witsies took to Twitter to contest some of the positions Minty said he had held in the Student Discipline Committee (SDC) and within the African National Congress Youth League (ANCYL) some time ago. In response to the allegations, Minty apologised on Twitter and clarified what he meant to say to Wits Vuvuzela reporters. 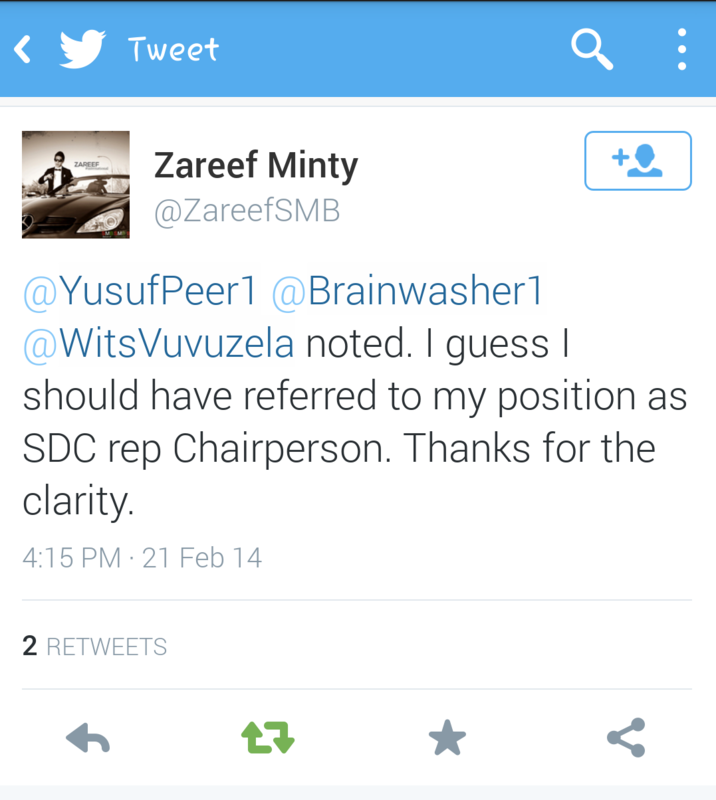 In a telephonic interview with Wits Vuvuzela earlier this evening, Minty he said, “I refuse to apologise for the SDC chair statement,” he added that he didn’t realise he needed to differentiate his position as chair of SDC representatives. With regards to being a treasurer for the ANC Youth League he said he was willing to concede the error and apologise because he should have pointed out that he was “asked to assist as treasurer for a period of time”. He said the person who held the position at time was under review for non-performance, this person being Klaas Mokgomole (@Brainwasher1). Minty said the complaints hurled at him were “really silly.” He also told Wits Vuvuzela that he would provide a statement but none has been received.